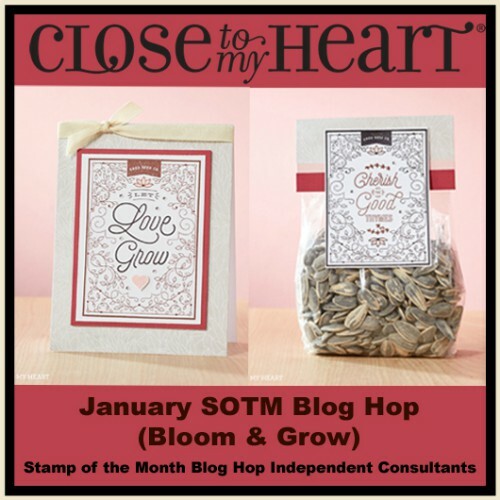 Welcome to our January SOTM Blog Hop! 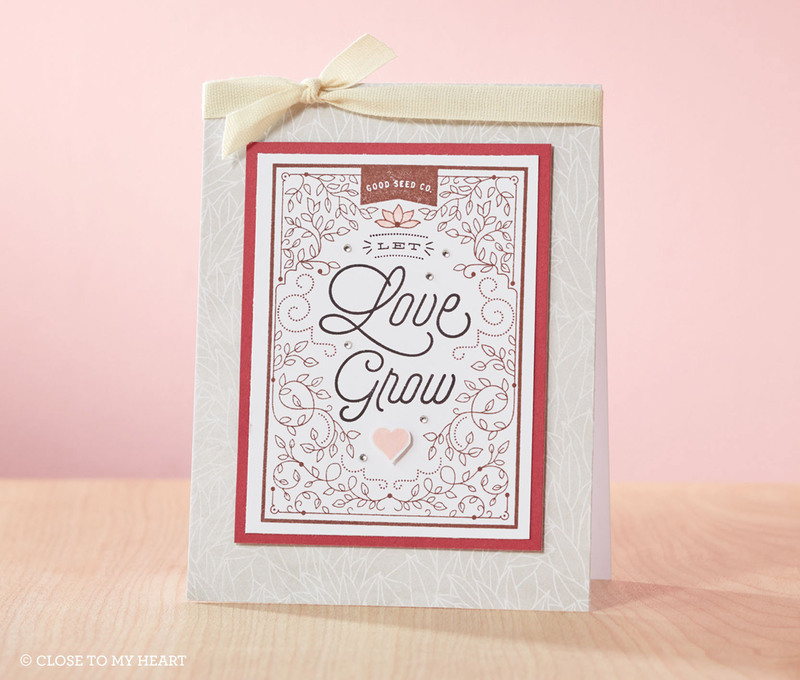 We will be featuring Bloom & Grow stamp set. This set of 15 stamps coordinates very well with the Chelsea Gardens collection. 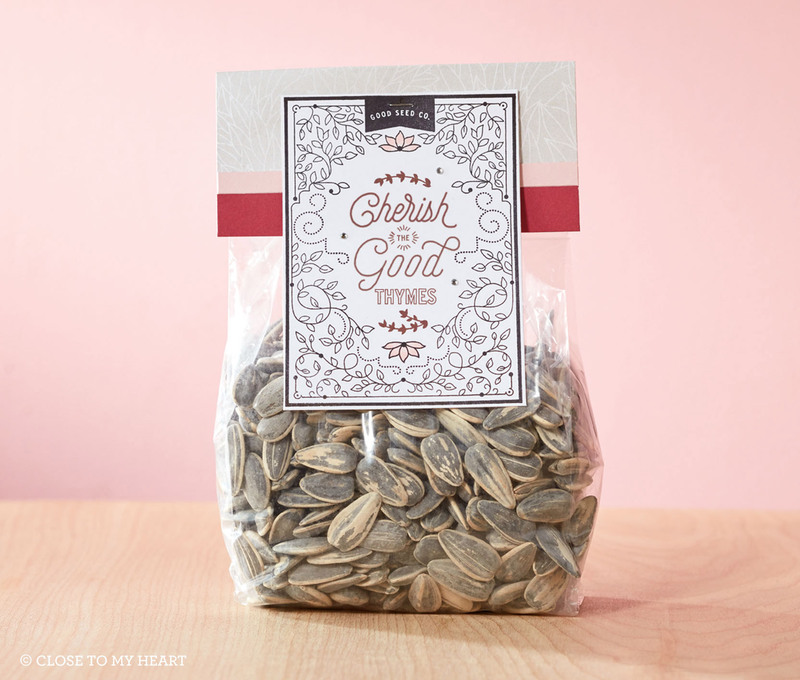 If you have come here from Cat Nowak’s Blog , you are on the right path! The blog hop is a great big circle, so you can start here and work your way all around. If you get lost along the way, you’ll find the complete list of participating consultants on Melinda’s Blog. To visit each blog for some great ideas just click on the link at the end of the post on each blog to move to the next one! Here we go! Supplies used are all Close to My Heart: Bloom & Grow stamp set (Jan 2018 SOTM), Adventure Fundamentals Paper Packet, Emerald Ink, Blossom Ink, Adventure Ribbon Pack, Chelsea Gardens-Cardmaking Thin Cut Bundle, Make it From Your Heart Volume 2, Memento Ink, Gold Glitter Gems, and Shimmer Brush. 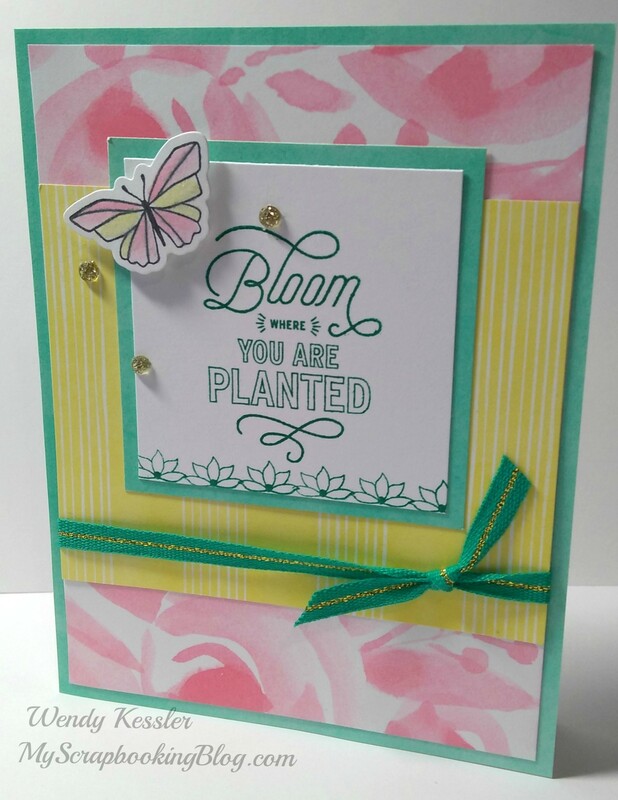 I used Pattern 24 from the Make it From Your Heart Volume 2 book together with the Adventure Fundamentals paper to create this card. I created the border on the bottom of the white square with the small half-flower stamp. It was so easy and I love the look! Now “Hop” on over to Michelle Stewart’s Blog to see her work! Be sure to visit all the consultants at their blogs to get some great crafting ideas! Here are some projects from the Seasonal Expressions I Idea Book using the January 2018 SOTM.